Want to try great apps without hurting your wallet? We’ve selected 19 iPhone, iPad and iPod touch apps that are now free. 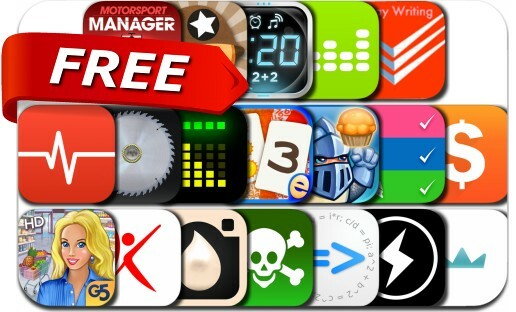 This apps gone free alert includes Motorsport Manager, Paratrooper, Muffin Knight, Instaflash Pro, Supermarket Management 2, Easy Spending Expense Tracker, Calca, White Noise +, System Monitor, Orderly, Finger Cut, Wake Up Pro Alarm and many others.